The Heart of the Hot Rod! Home→Projects→1940 Ford Convertible Build→Chassis→Some Shiney Parts Came! 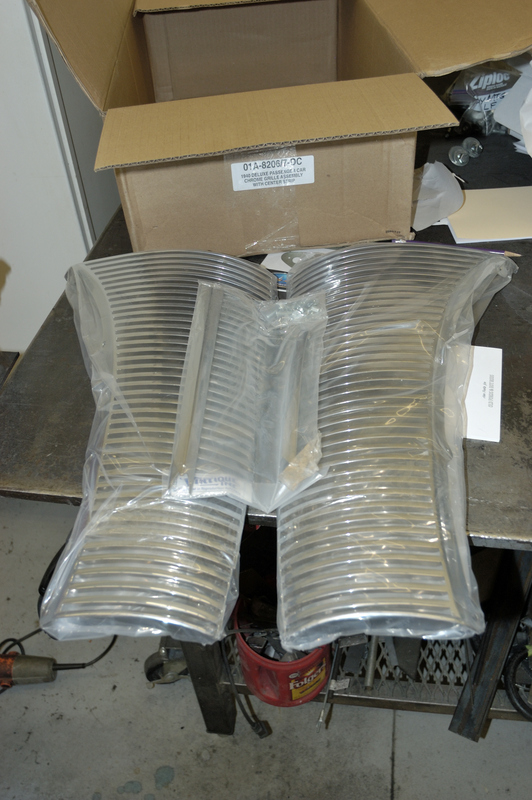 ← More New Parts Have Arrived! The backorders are dribbling in at a steady pace. 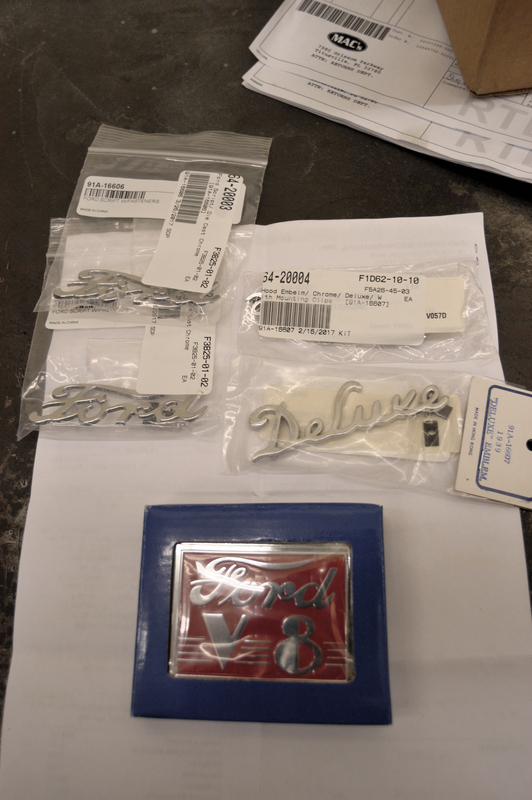 Yesterday we received the hood and trunk badging. Old retired guy having a great time with his wife, 6 cats and his hotrods.